DuraSign provides high impact visual solutions in the form of adhesive vinyl graphics for vehicles. High quality vehicle graphics and wraps are a relatively new form of mass promotion that has erupted into the world of marketing. DuraSign has 15 years experience working with such companies as DTZ Barnicke, Macdonald Commercial, and Remax, in both the residential and commercial markets. Business cards, Brochures, Letter Heads, whatever stationary products you need DuraSign has got you covered. Teaming up with local printing shops we are now able to deliver the desktop publishing products to our clients. DuraSign can cover all your decal and label needs with a 54” large format printer with dye cutting capabilities, and vinyl plotters. You name it we can do it! Show up too your next meeting or presentation prepared and professional; DuraSign can outfit you with all your exhibit, and trade show needs. With professional in house design we can make you stand from your competitors. DuraSign can do 3d letters out of almost any material, such as: Foam, Metal, or Plastic. The design choices are endless! Take full advantage of your store front prime advertising space. DuraSign can work with you from design to application; to give your company more exposure. All materials used are UV protected and last 3 to 5 years. 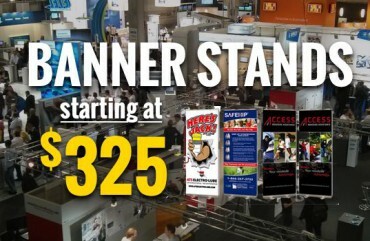 DuraSign can cover all your safety sign needs, from ply cards to reflective highway signage…. We’ve done it all. From Graphic Design to Installation Services, we can manage your complete signage projects. We design, manufacture, supply and install a tremendous variety of signs and graphics. DuraSign offers professional installation services. 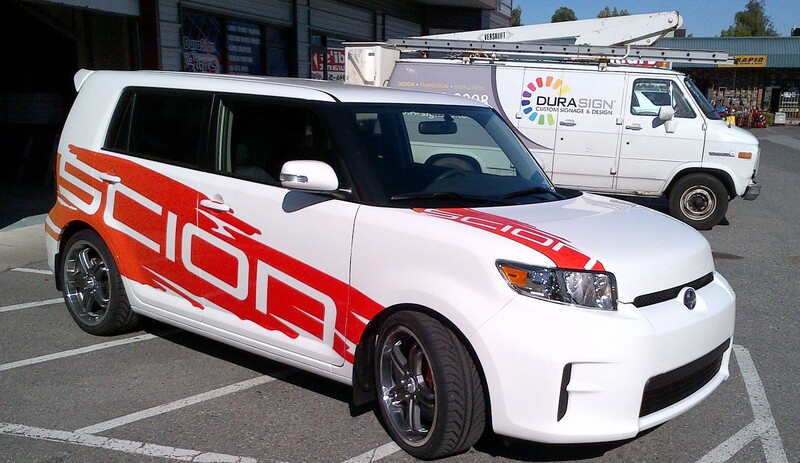 We work with many marketing and advertising companies in the Lower Mainland… If your company is looking for installation of promotional graphics on retail locations, vehicle graphics and wraps, or window graphics call DuraSign. We also offer high installations up to 30ft with our bucket truck. We understand the importance graphic design has on communicating a message to your customers. If you are looking for a new corporate identity, our designer will develop and produce innovative and creative concepts to communicate your message. DuraSign offers professional graphic design services. 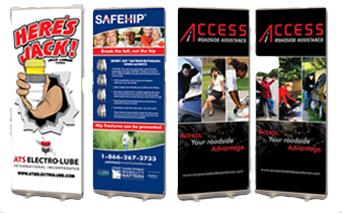 Custom designs for Signage, Billboards, Vehicle Wraps, Banners and Trade Show Displays. Check back here for all the latest news and current promotions at DuraSign! You can also follow us on Facebook, Twitter, and Instagram to find more updates and great deals. Get directions, write a review or post your favourite pictures on our Yelp and Google+ pages. Contact us today and let us know how we can help improve your marketing and advertising efforts! Our mission is to understand today’s ever-changing market, and to provide our growing client base with new and improved ways to advertise. Through constant research of new materials and ingenious in house design we are able to supply our customers with outstanding final products at great prices. 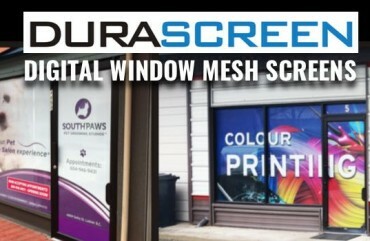 DuraSign prides itself on unmatched customer service, with quick product turn around, and attention to detail. We hope to soon have you as one of our clients, and look forward to helping you take your company to the next level. Get in touch today to discuss how we can help your business today! Located off of River Road, in the Tilbury area of Delta, BC, Canada. Please contact us today for more information about our Custom Signs, Graphic Design & Installation Services.